Cut-out illustration on a girl with flowers, looks like it came from a trade card. 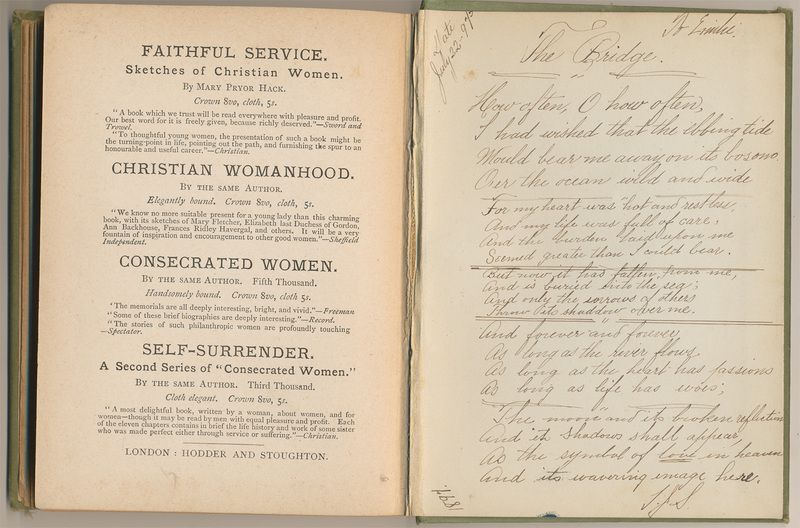 In the back of the book is a handwritten recounting of Longfellow's "The Bridge," dated July 22, 1897. 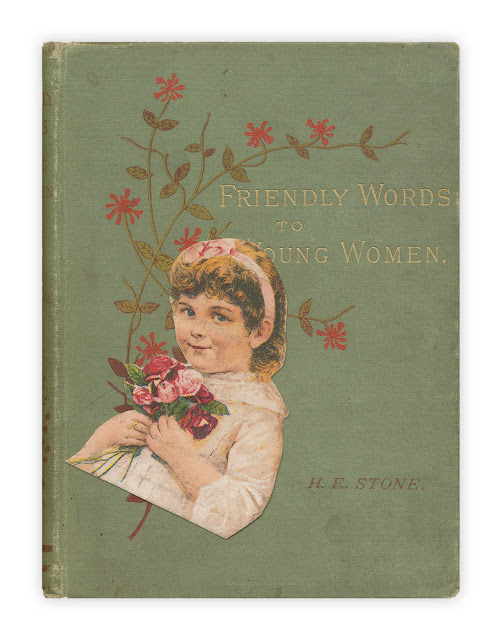 Found in "Friendly Words to Young Women" by H.E. Stone. Published by the American Tract Society, no date listed, I'm guessing mid 1890s. I love this. 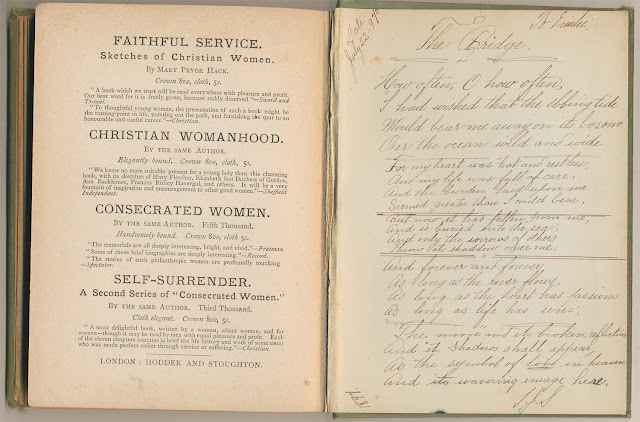 It's so sweet and looks like a beautiful book.